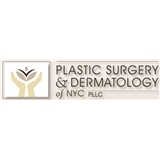 Plastic Surgery & Dermatology of NYC (New York) - Book Appointment Online! At Plastic Surgery & Dermatology of NYC, PLLC , we pledge to provide women, men, and children with the highest quality medical, surgical, and cosmetic care in a state-of-the-art, warm, and nurturing environment. You can never be too young or too old to care for your skin. At Plastic Surgery & Dermatology of NYC, an integrated dermatology and plastic surgery center, we serve the individual aesthetic needs and well-being of the entire family. Our full-spectrum approach ranges from minimal intervention skin care to the most adept plastic surgery techniques. We strive to provide men, women, and children top-quality medical, surgical, and cosmetic care, as well as outstanding customer service. We also pledge to earn and maintain the trust and respect of our patients, their families, and our colleagues in the medical community. Our focus on prevention, maintenance, and correction has led to a unique melding of traditional and modern skin care and surgical methods. With a plastic surgeon and a dermatologist practicing under one roof, patients have all options available to meet every aesthetic need. This marriage of plastic surgery and dermatology ensures that our patients will also be provided the most advanced skin care regimens designed to help the skin prepare for and recover from cosmetic treatments and surgical procedures. We recognize the needs of the individual. By intertwining the expertise of plastic surgery and dermatology, we provide a customized approach to cosmetic, surgical, and medical care that offers each and every patient a personalized and comprehensive beauty solution. I went for a regular check-up, no real reason other than never having seen a dermatologist before. There was a slight push for additional services/follow-ups but all elective and up to me.